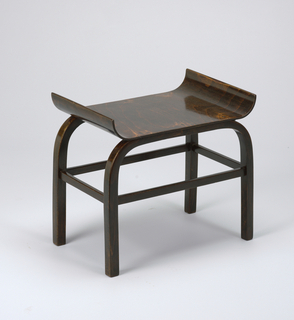 Michael Thonet opened his first cabinetry workshop in a rural Austrian town in 1819, where he experimented with the process of using steam to bend wood for furniture. Shortly after, he founded his company "Gebrüder Thonet," or Thonet Brothers (1853). 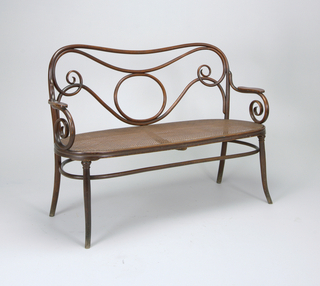 In 1856, he obtained the first patent for the bentwood process. 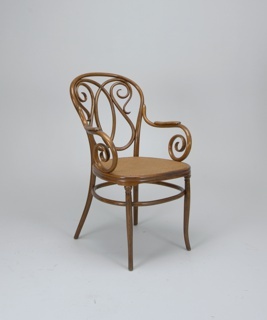 Although his patent expired in 1869, by 1900, Thonet owned fifty-two assembly line production factories for bentwood furniture across Europe. 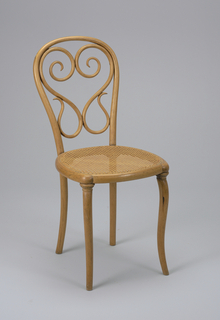 Numerous replicas of his most famous chair, the Viennese cafe chair known as model no.14, abound today. A New York office opened in the United States in 1873 and was later sold to subsidiaries. 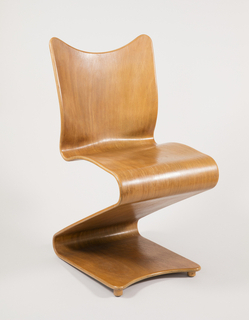 The firm expanded throughout the twentieth century and added... more. 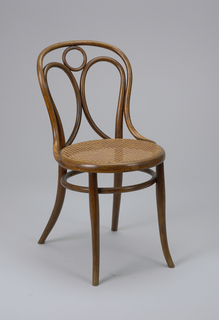 We have 8 objects that Gebrüder (Brothers) Thonet has been involved with.